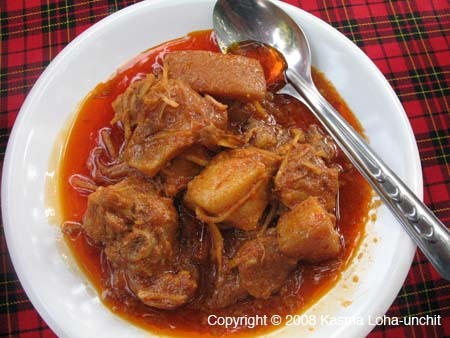 Northern Hunglay Pork Curry: Northern Hunglay Pork Curry (Gkaeng Hunglay). Kasma teaches this dish in Advanced Series Set C (class 4). Her husband Michael thinks it's worth taking all the cooking classes or going to Thailand with Kasma to get this dish. Yum!